If you are at least 18 years old, a United States citizen and an Oregon resident, you have an opportunity to make changes the old-fashioned way: You can vote in the Nov. 7 general election. Ballots will be mailed in Multnomah County on Oct. 20; they must be returned to the county elections office no later than 8 p.m. Tuesday, Nov. 7. Postmarks do not count. This year, voters will select a governor and choose among candidates for state and local offices. They also will have eight statewide ballot measures to decide on, with issues ranging from parental permission for abortion to tax deductions. This week, The Skanner gives a brief overview of four of the eight statewide issues; the other four issues will be discussed in The Skanner's edition on Oct. 11. For more information on the election, how to register or a link to the ballot measures, check the Multnomah County Elections Division Web site at www.co.multnomah. or.us/dbcs/elections/. Ballot Measure 39: Prohibits a public body from condemning real property if it intends to convey that property to a private party. If you vote "yes": A "yes" vote prohibits a public body from condemning certain private real property if it intends to transfer all or part of that property to a private party. If you vote "no": "No" retains the current law, allowing the government to acquire private real property for an authorized public purpose that involves transferring property to a private party. The Oregon Constitution allows government and other public agencies to condemn real property for a public purpose, and it requires that the owner be paid for the property. The property owner can challenge the amount of payment in court. This measure would prohibit public bodies from condemning private residences, businesses, farms or forest operations if the government intends to transfer an interest in part or all of the property to another private buyer. It does allow government to lease condemned property for retail uses. Those who support Ballot Measure 39 say: The measure would prevent government from taking property in Oregon and selling it to a private developer. The U.S. Supreme Court ruled last year that, unless a jurisdiction's constitution specifically prohibited it, a city or government could transfer someone's home to a developer for a new shopping center. Supporters note that 27 states have passed new laws restricting governments from using the condemnation power in that way. Supporters: The measure is supported by the Oregon Family Farm Association, Oregonians in Action, the Oregon State Grange, Oregon Business Network, Oregon Homebuilders Association, Oregon Sheep Growers Association, the Oregon chapter of the National Federation of Independent Business and the Oregon Association of Realtors. Those who oppose Ballot Measure 39 say: If a city wanted to develop its waterfront with stores and pedestrian walkways or create a business park to create jobs, Ballot Measure 39 would make it more expensive because most disputes would be required to be resolved in court instead of through negotiation. Condemnations for public uses — schools, roads, parks, courthouses, etc. — also would cost more because those issues also would have to be resolved in court. Some economic development projects also would be disallowed, according to opponents. Opponents: The measure's opponents include the League of Women Voters of Oregon and the Oregon Chapter of the American Planning Association. Ballot Measure 40: Constitutional amendment requiring Oregon Supreme Court judges and court of appeals judges to be elected by district. If you vote "yes": Judges in the Oregon Supreme Court and the Court of Appeals would be elected from and would be required to live in established districts that are based on population. If you vote "no": Judges would continue to be elected statewide, with no requirement to live in or be elected from a specific district. Currently, the law requires only that judges live in the state; they are elected by a statewide vote. The measure would divide the state into seven population-based districts for Supreme Court judges and five districts for appellate court judges. The judges would have to live in their districts for at least a year prior to election and remain in the district until they leave office. Under current law, Supreme Court judges must have been an Oregon resident for at least three years before appointment or election. Those who support Ballot Measure 40 say: While judges are guided by Oregon state law and the Constitution, their core set of principles may be based on where they are from. Portland judges, for instance, may have a different perspective than a judge from Pendleton. Supporters point out that 16 of the 17 judges on Oregon's appellate courts are from Portland, Salem or Eugene; none come from any coastal community and only one lives in Eastern Oregon. They also note that trial court judges are already elected by district. Supporters: Supporters of Ballot Measure 40 include several district attorneys in counties outside of the Portland area, including Columbia, Clatsop, Tillamook, Sherman, Hood River and Baker; several state representatives and senators; and some county commissioners from Linn, Lane and Yamhill counties. Ron Saxton, Republican candidate for governor, also supports the measure. Those opposing Ballot Measure 40 say: The measure would result in less-qualified judges sitting on the bench. More qualified judges would not be eligible for consideration to replace outgoing judges because they don't live in that district. The judges' "constituency" should be all of Oregon, not just a part of it, opponents add. Measure 40 would make it easier for special interest groups to defeat judges whose decisions they don't like. Opponents: Among the opponents of Ballot Measure 40 are: the Portland Gray Panthers, Oregon State Council for Retired Citizens, Gray Panthers of Oregon, Oregon Consumer League, Oregon League of Women Voters. Ballot Measure 41: Allows an income tax deduction equal to the federal exemptions deduction to substitute for state exemption credit. If you vote "yes": The measure allows a personal income tax deduction equal to the total federal deduction for all exemptions to substitute for state exemption credit. It could reduce revenue to the state. If you vote "no": The current law would be retained, and a personal income tax deduction equal to the total federal deduction for all exemptions would continue to be rejected. To determine a taxable income for federal personal income tax, taxpayers generally may claim a $3,200 deduction for each exemption, which can be taken for the taxpayer, spouse and each dependent. However, Oregon law doesn't allow this deduction but, instead, gives a tax credit of $162 per exemption. This measure authorizes a deduction on the state income tax return for each dependent, taxpayer and spouse claimed as an exemption on the federal return. Under the measure, taxpayers can choose either the $162 tax credit or the $3,200 deduction. According to the measure's supporters, by choosing the deduction, a family of four would see their state income tax reduced by $560 a year. Those supporting Ballot Measure 41 say: The measure is a tax cut directly targeted at working middle-class families. The measure comes at a time, supporters add, when the state's revenues are projected to be higher than expected and that it only limits future increases in state spending and slows the rate of growth. Supporters: Included among the measure's supporters are: Taxpayer Association of Oregon, Oregon Citizens for a Sound Economy PAC and Taxpayer Defense Fund. Both Oregon Citizens for a Sound Economy PAC and the Taxpayer Defense Fund were represented by R. Russell Walker, of Salem, who is a chief petitioner of the measure. Kevin Mannix, former Republican candidate for governor, also is a chief petitioner on the measure. Those who oppose Ballot Measure 41 say: The real problem with Oregon's budget is the influence of special interests and lobbyists, and Measure 41 does nothing to change that. They predict "deep and immediate cuts" to education, health care and public safety because the measure would affect the state's general fund. Opponents: Among those opposing the measure are: Oregon Consumer League, AARP, Defend Oregon Coalition and presidents from the seven Oregon universities. Ballot Measure 42: Prohibits insurance companies from using a person's credit score or "credit worthiness" in calculating rates or premiums. If you vote "yes": Approval of the measure would prohibit insurance companies and their agents from using a credit score or "credit worthiness" of a client or applicant when insurance rates or premiums are calculated. If you vote "no": The present law, which restricts but does not prohibit the use of credit scores in calculating insurance rates, would be retained. Current law prohibits insurance companies from canceling, changing the rates or failing to renew insurance policies based on credit history. When a person applies for new coverage, insurance companies can use a consumer's credit history only as part of several factors in determining if the policy will be issued and how much it will cost. Ballot Measure 42 prohibits insurance companies from calculating insurance rates or premiums based on a person's credit history. Those who support Ballot Measure 42 say: The measure ensures that customers, who are, in some cases, required to buy insurance, aren't gouged by big insurance companies. Companies should be forced to use "meaningful grounds" for establishing premiums, such as driving records and loss histories, supporters add. A person's credit score isn't a direct action that relates to the risk the companies assume when insuring a customer. Supporters note that people may temporarily have bad credit due to no fault of their own, and that shouldn't be used against them when they buy insurance. Supporters: Supporters include perennial tax measure writer Bill Sizemore, who wrote Ballot Measure 42 and most of the supporting statements. Those opposing Ballot Measure 42 say: The measure is poorly worded and will end up in Oregon's courts to determine its effect. In addition, insurance companies could be legally required to increase rates of customers — including businesses — whose rates were based on good credit scores because they would be subsidizing those with bad credit. Oregon law already prohibits insurance companies from using credit history solely to raise rates, opponents argue. 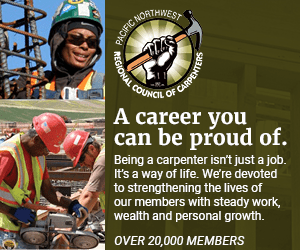 Opponents: Opponents include the Oregon Small Business Coalition, Associated General Contractors, Oregon Restaurant Association and Associated Oregon Industries.